Ježková, V., Krull, E. & Trasberg. K. (2014). Školní vzdělávání v Estonsku [School education in Estonia]. Praha: Karolinum. 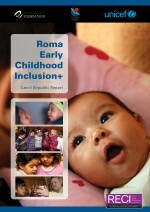 This analytic and comparative study entitled School Education in Estonia is the fifth contribution to the School Education Abroad series, which already includes School Education in Germany, School Education in Great Britain, School Education in Sweden and School Education in the Russian Federation. 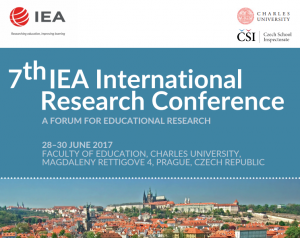 This publication adheres to the methodological approach used in the previous books in this series: an understanding of the problem (an emphasis on the main problem spheres of scholastic education) and two views of the presented issues, an “external” view provided by the Czech scholar, as well as an “internal” view facilitated by Estonian scholars. The book focuses on the problems that appear to be the most burning issues in the Estonian education system as well as for the current development of the Czech education system. The book consists of eight chapters. Chapter 1 presents the broader context of the country in which the changes of the education system are underway; special attention is also paid to the country’s history. Chapter 2 presents the goals and principles of the new Estonian education policy, while Chapter 3 presents the restored Estonian education system, providing also a brief overview of the history of Estonian education. Chapter 4 elaborates on the significant changes that the elementary and secondary school curricula are undergoing. Chapter 5 covers the evaluation of the education system and educational institutions, along with the evaluation of pupils and students. Chapter 6 expounds on ethnicity as a current and sensitive issue in the society and school education, while Chapter 7 focuses on the equally sensitive issue of languages and language instruction. The last chapter, in line with the other books in this series, gives floor to the “local” scholars presenting their insiders’ insight into the development of general education in Estonia over the past 25 years. 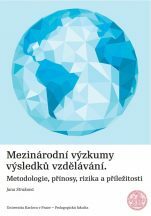 This publication contributes to the field of comparative pedagogy, providing systematic information about a country that a Czech reader may consider as close in many respects. 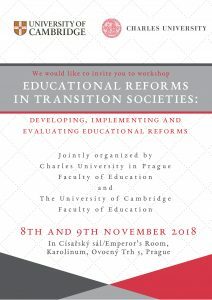 It is intended for researchers and experts on education, for teachers and students at faculties of education and at other faculties that prepare future teachers, for representatives of the Ministry of Education, Youth and Sports of the Czech Republic as well as for others working in the state administration fields focusing on education.